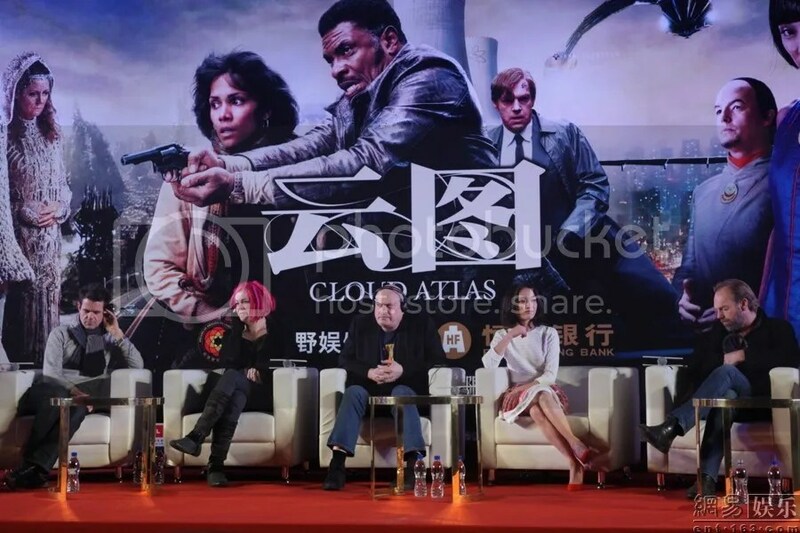 Cloud Atlas continued its gradual global roll-out with premieres at the Jameson's Dublin International Film Festival on February 16 and Glasgow International Film Festival on the 17th; there was also a London premiere earlier today. James D'Arcy covered promotional duties at the two festivals while Ben Whishaw, Jim Sturgess, Jim Broadbent and Hugh Grant joined him at the London event. 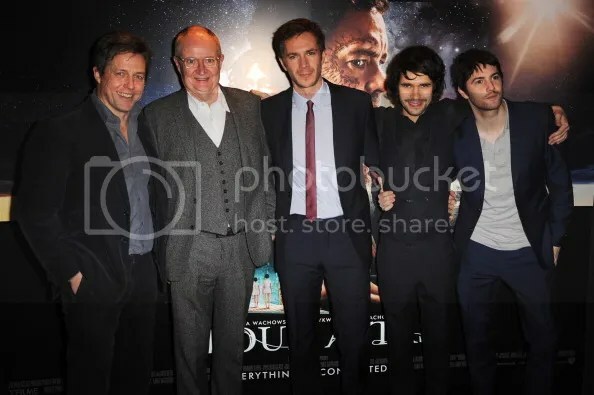 L to R: Hugh Grant, Jim Broadbent, James D'Arcy, Ben Whishaw, Jim Sturgess at the Cloud Atlas London premiere at The Curzon Mayfair, 18 February 2013. Photo: David J Hogan/Getty Images. For a selection of additional London premiere photos, go here; Jim Sturgess Online also has a nice batch. QUESTION: When you look in the mirror and see yourself in all that make-up, do you ever recognize yourself? SUSAN SARANDON: The only time in my life, and I’ve had lots of prosthetics in my life, that I have not recognized myself was when I had the Indian man make-up on. And I think it was because of the contacts, really. Because even in Enchanted, when I had the hag makeup, which hopefully didn’t look too much like myself, I had my own eyes. In this, I wore contacts, which was the first time I’ve ever surrendered to the contact thing. And, in fact, there were two teams of contact supervisors who just put the contacts in and took them out, there were so many flying around. QUESTION: Were each of your segments done in complete, or were there ever times when you were overlapping with other segments? SUSAN SARANDON: Are you kidding. Take it, Hugo. 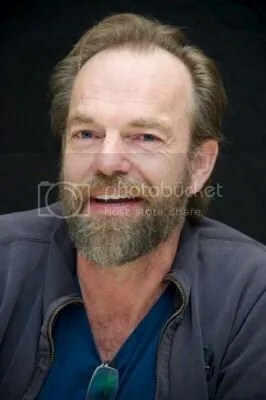 HUGO WEAVING: No, unless you had a character that was just sort of there for a couple of scenes, and you did that on the one day, that was the only time that happened. But, with a continuing character, absolutely not. I think I started and ended the film with the same character. SUSAN SARANDON: But, you had one week where you did five or six characters. 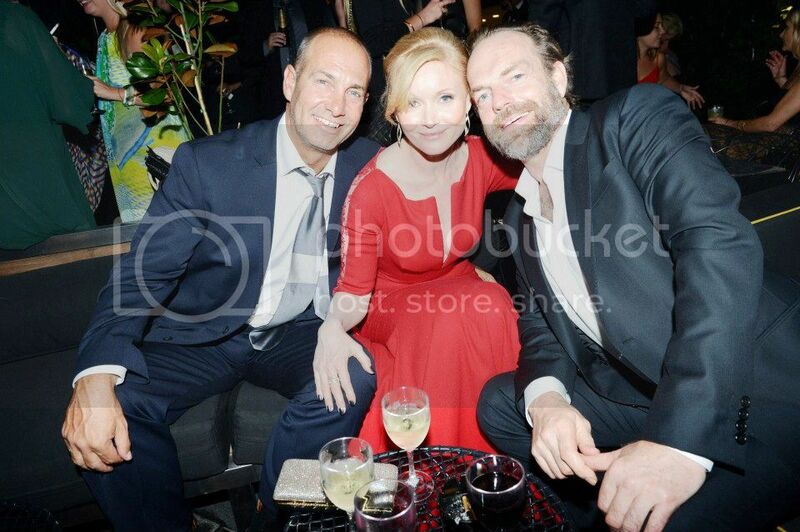 HUGO WEAVING: Yeah. In one week sometimes you might be jumping from one to the other, from one day to the next. But, in a funny way. I mean, I’ve remarked on that, because I thought, ‘Oh, this is unusual.’ But, actually, when you’re doing it, on the day, you just focused on that one particular character and life and storyline. SUSAN SARANDON: It was more of a problem for the people who had to serve us up. The scheduling and the makeup department was just moving. 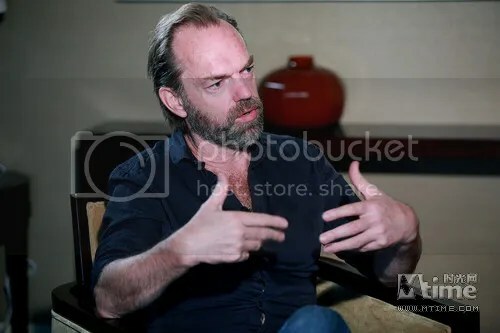 HUGO WEAVING: Imagine six totally different storylines, with all the actors playing in all of those stories, and then trying to schedule that. It was an absolute nightmare and, of course, they said this schedule is set in stone; it can’t change. And then Halle went and broke her ankle after two weeks and so the whole schedule changed quite regularly after that. But, it was pretty phenomenal the way they organized it. QUESTION: Did you use the multiple storylines as back stories to what you were playing, or were they all separate? SUSAN SARANDON: When you’re doing it, you’re not thinking outside of it, that metaphysical thing. But, I think when you watch it, it’s quite clear that that’s what’s happening. But, as Hugo said, you’re focusing completely on what you have to do that day and what that character knows and what that character wants. It’s their job to leave it together. Wouldn’t you say? 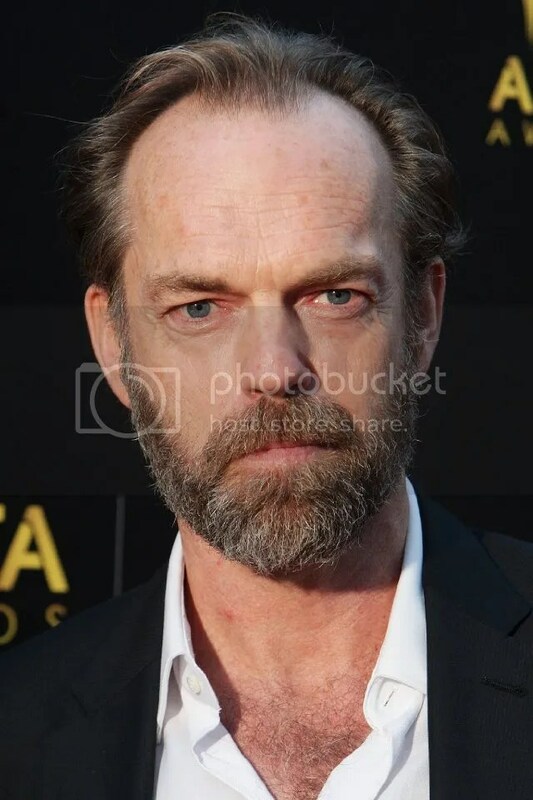 HUGO WEAVING: Yeah, absolutely, you just focused on one thing on the day. You can’t think about all the other characters. But, having said that bit, prior to shooting, there was a sense with my six characters that there was definitely a journey, if you like, and a link between them. They all seemed to have a similar sort of thrust, if you like. So, there’s definitely a link between all of them, and a lot of them serve a similar sort of functional purpose within each story. QUESTION: Was there ever a moment where you were playing two characters in the same scene? 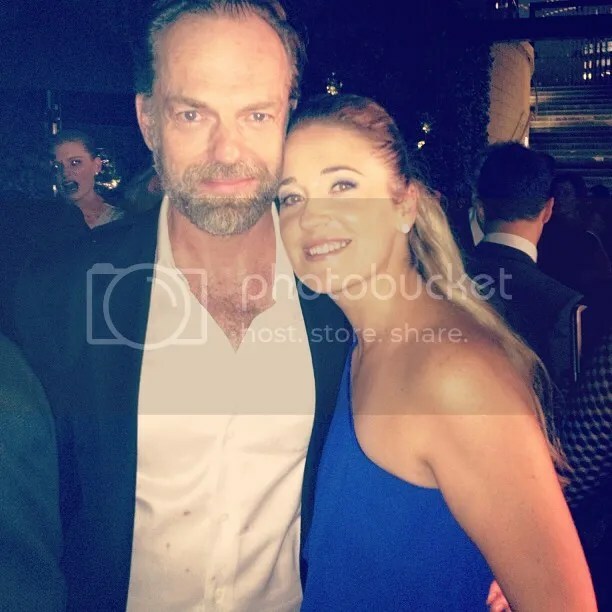 HUGO WEAVING: No. The editing definitely does that. So, you might leave one room and enter another as another character. That’s certainly happened. Or, there might be a line that you say that then obviously reverberates over something else that is pertinent to another one of your characters in another story. SUSAN SARANDON: And when they were assigning the characters to different actors, like Hugo’s all have one thrust. And Tom starts out as this evil person and works his way through to redemption. Mine were all kind of spiritual, or more enlightened. 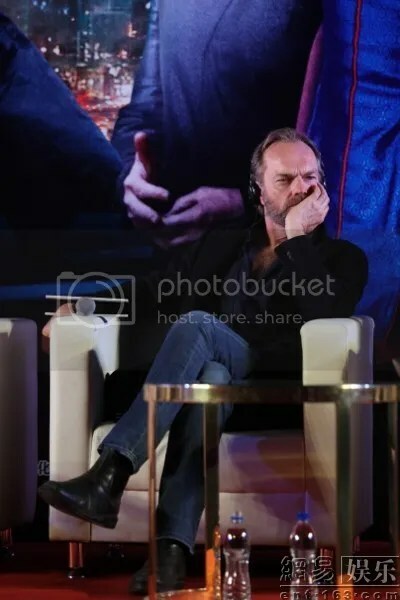 HUGO WEAVING: So, in that way, the doing of it wasn’t radically different from day to day, because you’re just focusing on staying with it. SUSAN SARANDON: What was radically different was the ensemble spirit, the repertory spirit that you just don’t find in films, this kind of horizontal organization of power. So, even the people that had big parts were playing little parts. Everyone’s together in the trailer, and there’s this festive kind of Cirque du Soleil spirit. Tattoos coming on and all the noses. 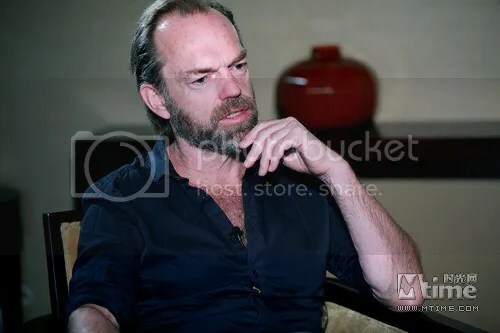 HUGO WEAVING: It was very infectious. SUSAN SARANDON: And the bravery. I got there mid-shoot and I was scared because I didn’t know what was happening. And it was a different tone. It was so festive and so brave and people just jumping from one thing to the next. So all the egos were left outside and that’s very rare in a film. You get it in theater, but you don’t have an opportunity, really, to experience that in a film. That was such a gift, really. 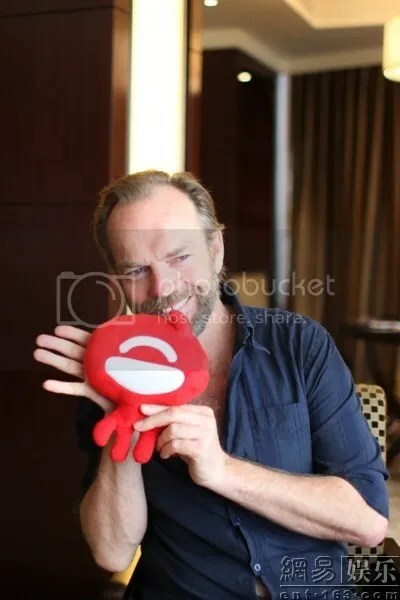 HUGO WEAVING: And when you have multiple characters, there’s less preciousness about one of them, because there are many. That’s kind of bright. QUESTION: Did you feel that even though you were playing such diverse characters that there was a through line and you were playing the soul of a person for over 500 years? 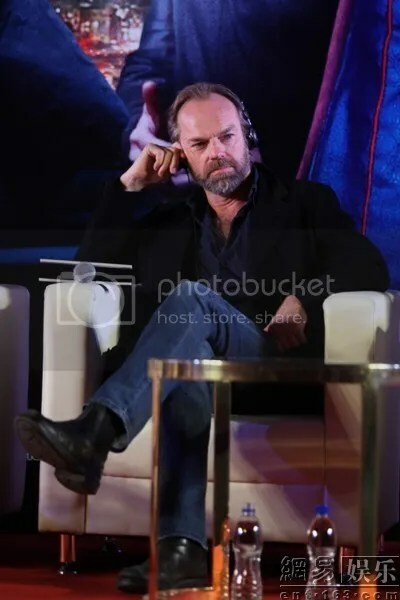 HUGO WEAVING: I think intellectually I understood that that was certainly a theme and a concept. And I certainly made a thread between all those souls, if you like, or that one soul. But then, as we were saying, once that’s there, the experience of playing each one had to be separate. They’re in their own lifetimes, not aware of their link to someone else, unless they were perhaps an enlightened character. SUSAN SARANDON: Who gets to say what the theme of the film is. SUSAN SARANDON: But, I think the audience is the one that makes the connection. SUSAN SARANDON: We had a special little screening in Chicago for the cast and some of the crew, and we could see it. We were laughing at certain things. But then we hit Toronto and having an audience made such a huge difference. Hearing them laugh so hard and ooh and boo. That was my opportunity to actually hear a lot of the phrases that are very subtly repeated. And things that happen visually, I hadn’t caught a lot of it and I was glad that I saw it a second time, because I liked it even more, actually. I appreciated their skill in dovetailing all the stories much more. Because they could have just done them in blocks. But this whole idea of a door closing, another one opening, literally, and watching how the music works and everything, I was able to appreciate a lot of it much more the second time. QUESTION: Do you have any personal feelings about the theme of the regeneration of the soul through different lifetimes and all of that? 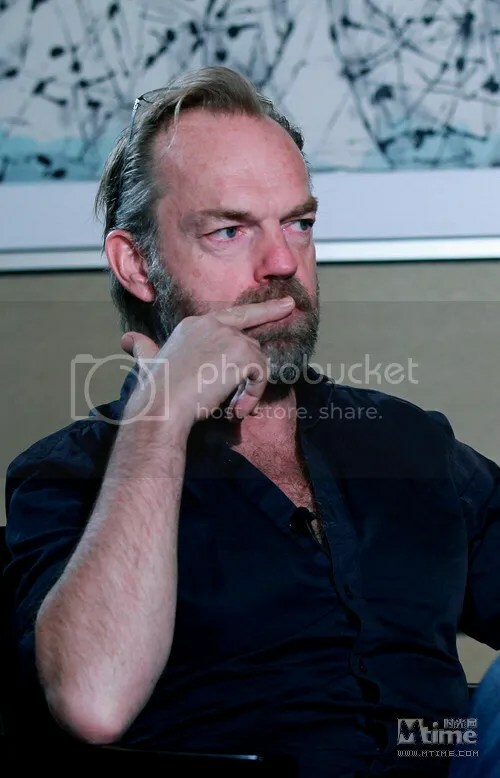 HUGO WEAVING: I wouldn’t necessarily believe in reincarnation, but I certainly believe that all the actions that you take in your life stem from a belief, even if that belief is not conscious, even if it’s an instinctive sort of belief. And those actions have an effect on other people around you, of course. And then, those actions have reverberations into the future and can change people’s lives in the future. So, I certainly believe in that sense of the cyclical nature of human life. SUSAN SARANDON: And I feel that how you spend your energy is how you create yourself. Every day you have to be awake and aware and understand the ramifications and the reverberations. And, at the same time, the people come into your life and jobs come into your life and children come into your life, that seems somehow to take you in a new direction that you maybe were longing for, but didn’t expect. So, what you have to do is be flexible and awake, because certainly my life and the serendipity in my life is far more imaginative than I could have been if I had a plan. I’m actually here because all my plans failed, so I celebrate that in this film. It excites me, the serendipity of life. It excites me the adventure that you don’t know what’s coming, from where it is, that will be handed up. That’s up to you, then, to use. That’s where the free will comes into it. But if you’ve lost someone and you see their body when they’re dead, it’s clear that they’re not there. So, whatever that essence is, energy, who knows what happens to that or where that goes. So, maybe not, as Hugo says, the packaging, but there is some fabulous mystery and the cause and effect that happens in your life that you’re not aware of even how you affect people. QUESTION: What were the challenges of working with three directors, Lana and Andy Wachowski and Tom Tykwer? 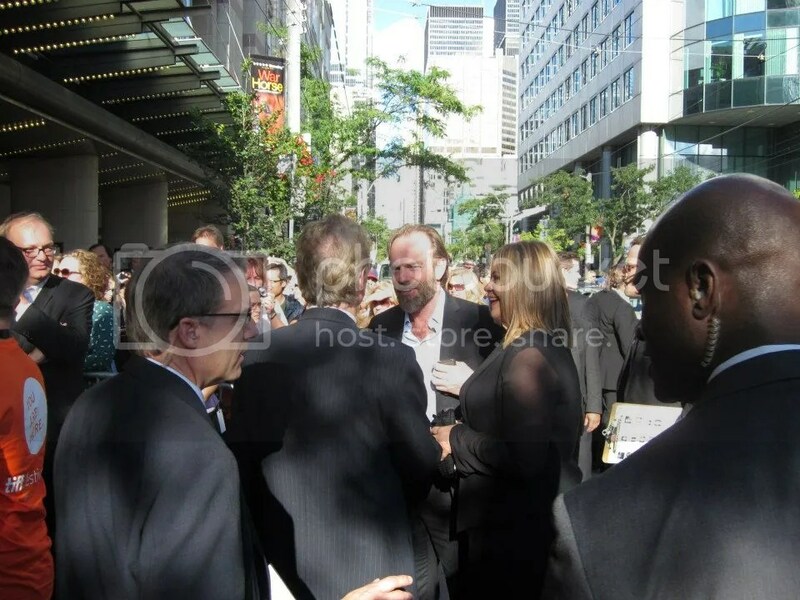 HUGO WEAVING: In this instance, really, there was no challenge about working with Lana and Andy and Tom. Lana and Andy are very sort of in-tune anyway. And they had met Tom some time before they came up with this project, and they loved his films and admired him and met him, and they all got on so well they kept wanting to see each other. And then they decided that they should probably one day do a film together, whatever that might be. And then it was over another period of time talking about what that project would be. Cloud Atlas came up and they read that and talked about that and got excited about that. 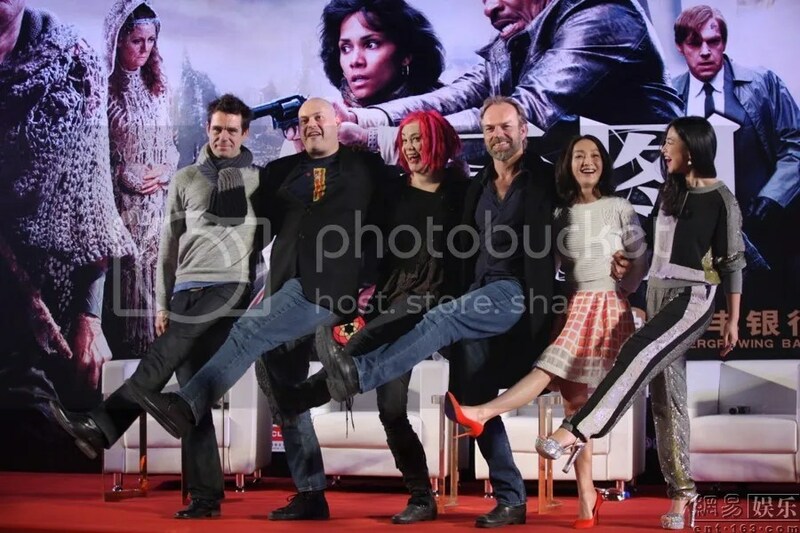 So, once the script had been written and they’d worked on that together and finally managed to raise all the money, they got the team together. I’d worked with Lana and Andy before, but when I met Tom, I was on Skype and he sort of bounded into this frame and Lana and Andy were there and Tom bounded into the background. The three of them are going, ‘Hi, Hugo,’ And I thought, these three are so in-tune and so well suited to being together. And that was after a lengthy pre-production period. They just seem to be extraordinarily, all incredibly well-prepared, highly intelligent, very open to each other, and great lovers of actors and film. And they share very similar ideas about life. So, it was really not a challenge working with any of them at all. QUESTION: What was it like working with their different directing styles? HUGO WEAVING: As an actor, you work with different directors all the time, and we were never on the same set. There was only one day that I saw them on the same set, because Tom had a shutdown period for one day. But they never had to direct altogether anyway. They sorted it beforehand. SUSAN SARANDON: They wrote it together. So, they were literally on the same page and they spent that time, I think, battling everything out ahead of time, and trying to understand exactly how to make that happen. And they delight in each other. 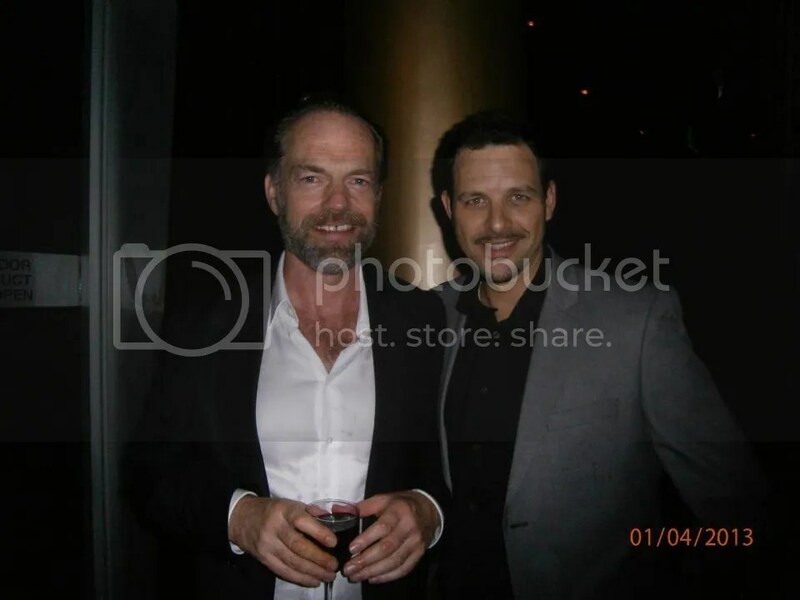 HUGO WEAVING: Yeah, they do. SUSAN SARANDON: And, actually, they celebrate each other. There’s no sense of competition. It’s really fantastic. 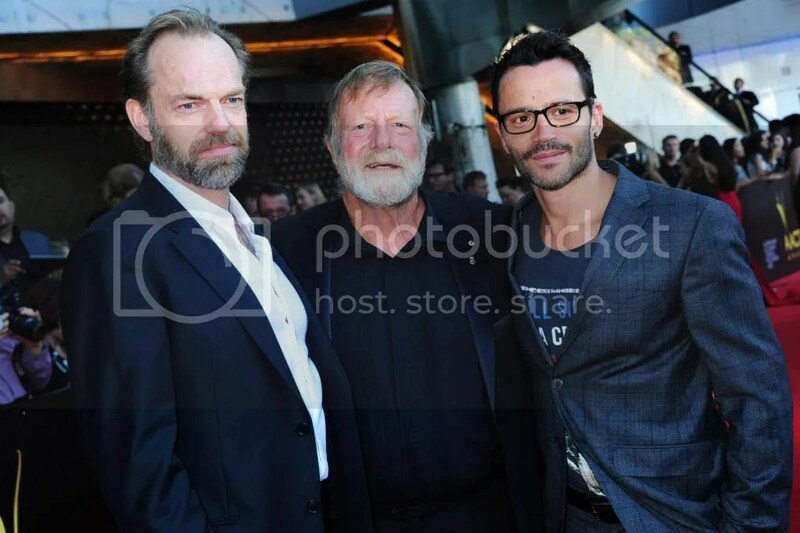 HUGO WEAVING: It’s very joyous seeing them all together. It’s great. What I find remarkable is that they not only manage to make this one, but then, all were all together in the editing process. Now, that’s more interesting. I mean, I have talked to them about it and they said, ‘Look, to be honest, it was difficult and we had to lose some of the things we loved most,’ but I think they said they had maybe one day where it was problematic and they had to think. But, it wasn’t to do with a clash of personalities; it was just a difficult decision that they had to make. They’re very well suited to each other. And they’re very giving, generous people. But they’re no dummies. SUSAN SARANDON: And Tom did the music. So, that contribution wouldn’t have been there if he hadn’t been there. And the Wachowskis are in such an interesting place right now, and the difference between how things were directed during Speed Racer, which was a completely different kind of cartoon, very exacting kind of thing, I think that this was much looser and much more funny than that. 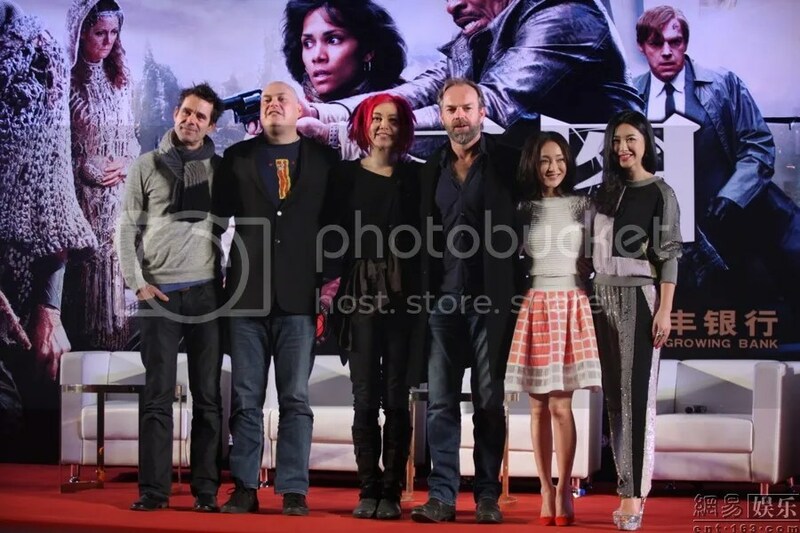 QUESTION: The Wachowskis seem to have become more open to press with this film. Do you have the sense that they’ve changed over the years that you’ve known them? 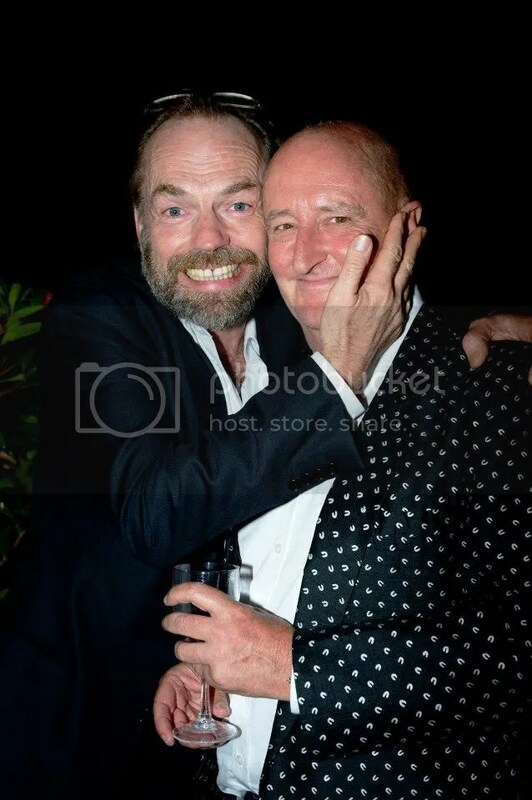 HUGO WEAVING: I have always found them wonderfully easy and joyous to be with. From the moment I met them, we clicked and have laughed from that day on. So, they’re very warm, smart, lovely people. They’re just very shy and very protective of their privacy. Some people find it very hard to be in this situation. Talking to a vast audience or to a small group can be difficult. SUSAN SARANDON: Also, I think that what happens in this film subliminally, with the actors playing many different parts and with the stories being edited in a certain way and everything else, is that even though they don’t talk about it in the movie, subliminally what happens is this fluidity of gender and race and age and period. Part of what happens is that you understand that this is everyone, no matter what the wrapping is, that that spirit of that person, the humanity, is what we all have in common. I think it’s a gift to journalists that now is the time when they’re doing this, that they have something that is even bigger that has encouraged them to step out. I mean, you’d have to talk to them about it, but it’s a very different kind of film with what they’ve asked the actors to do and what they’ve done, and the collaboration. I think it’s just a very special moment in time where the work and the artists, they’re in a different place, and it’s a very brave thing for them to do it. 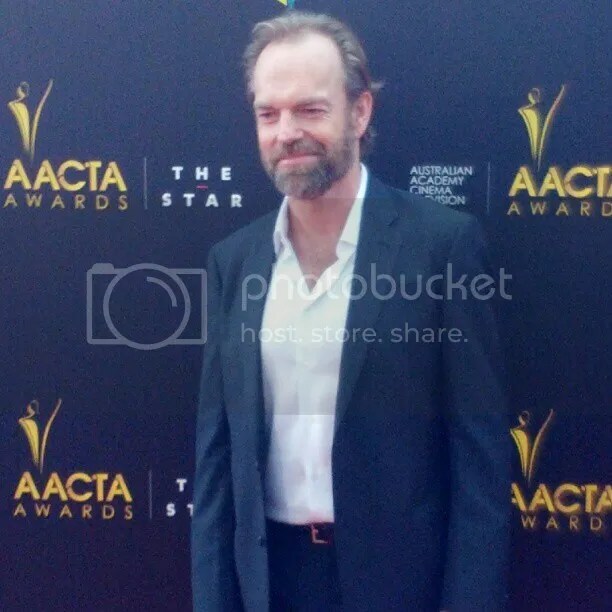 HUGO WEAVING: Lots of changes have gone on. But, fundamentally, these two people are of very much the same spirits that I first met the first day I met them years ago. And they’re truly wonderful. New Cloud Atlas reviews continue to appear worldwide; the latest positive (or mixed but well-written) ones can be read at South China Morning Post, Kitten of Discord, IZ Reloaded, The Daily Record, The Sun Daily, The Wild Bore, The Hollywood News, The Upcoming, Hayes At The Movies, Box Office Buzz and Failed Critics. There's also an interesting article about Lana Wachowski, the film's depiction of fluid identities, and how this is challenging the media (and hopefully, those so stuck in old political-correctness tropes that they misconstrue the film's makeup and intentions) at F News Magazine. 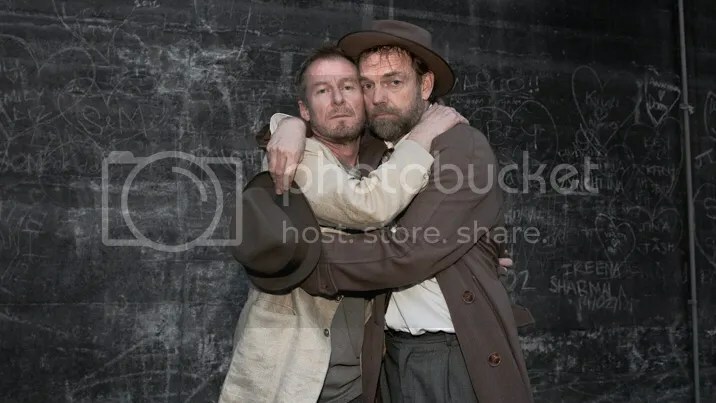 In other Hugo Weaving News, Sydney Theatre Company's box office began selling single tickets for Beckett's Waiting For Godot, which will reteam Hugo with Richard Roxburgh, on February 11. Sydney Morning Herald reported the next day that STC's website and phonelines promtly crashed due to demand, prompting apologies on Twitter. According to STC's website, tickets for Godot (and The Maids, costarring Cate Blanchett and Isabel Huppert, another mega-draw) remain available, but if you want to go and haven't bought tickets yet, ACT FAST. 😉 Tickets will probably be sold on eBay and via various ticket-brokers at extortionate prices… and STC often hold blocks of tickets to select shows back to make available closer to a play's engagement. The play runs November 12-December 14 this year; the play's webpage can direct you to best ticket availability; several nights are already sold out. No word yet on international tours, but with demand like this, you gotta have hope. (A rival production of Godot starring Sir Ian McKellen and Patrick Stewart will play on Broadway later this year.) The Irish Echo also reported on the booming ticket sales for this production, so there is worldwide interest. All are well worth a look if you didn't check them out when I posted the links around the time of the Beijing premiere; Hugo gave some of his most in-depth videos in recent memory to Sina, iFeng and particularly Ent.163. I hope we'll have some news or photos from the Healing set soon! “Healing is a powerful, moving story of redemption, the discovery of hope and the healing of the spirit – in the most unlikely place, for the most unique men, through the most unusual catalyst. Hugo is to portray Matt Perry in what might finally be the role that breaks the typecasting notion that Hugo only plays villains, mostly in supporting roles. (Fans have known this idea is rubbish for years, but Hugo’s Australian films are often overlooked or unknown to too much of the general public.) Don Hany has been cast as Viktor Khadem. Also in the cast are three former costars of Hugo’s: Justine Clarke (STC’s Hedda Gabler, Dangerous Liaisons), Tony Martin (who memorably played Det. Steele in Craig Monahan’s first film, The Interview) and Robert Taylor (who played Agent Jones in the first Matrix film and is now starring on the US cable procedural Longmire). The film will be distributed by Pinnacle in Australia and Lightning Entertainment on the international market, though no specifics on countries and release dates is yet available. Ramascreen posted the full press release from Lightning Entertainment, which features the following quotes from Lightning president Robert Beaumont: “It’s wonderful being associated with and bringing to our buyers a film with an excellent pedigree of filmmakers and cast. HEALING brings all those qualities to the table and we have high hopes for the film….Craig [Monahan] and Alison [Niselle] have successfully crafted a script which truly captures the ability of the human being to atone, transform, and ultimately heal. 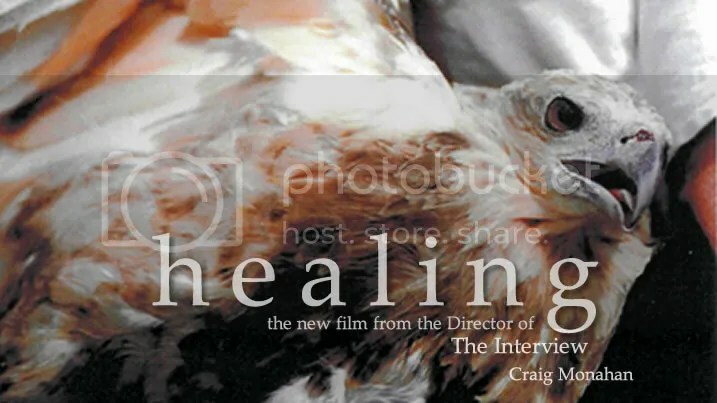 HEALING is a powerfully uplifting story about redemption that moved me from the moment Craig [Monahan] and [producer] Tait [Brady] first pitched it tome. The team has attracted some of Australia’s finest creative talent to the project, one that I think will shine another spotlight on the country’s wonderful tradition of quality filmmaking.” According to the press release, the film will be introduced to potential international buyers at the upcoming European Film Market in Berlin. 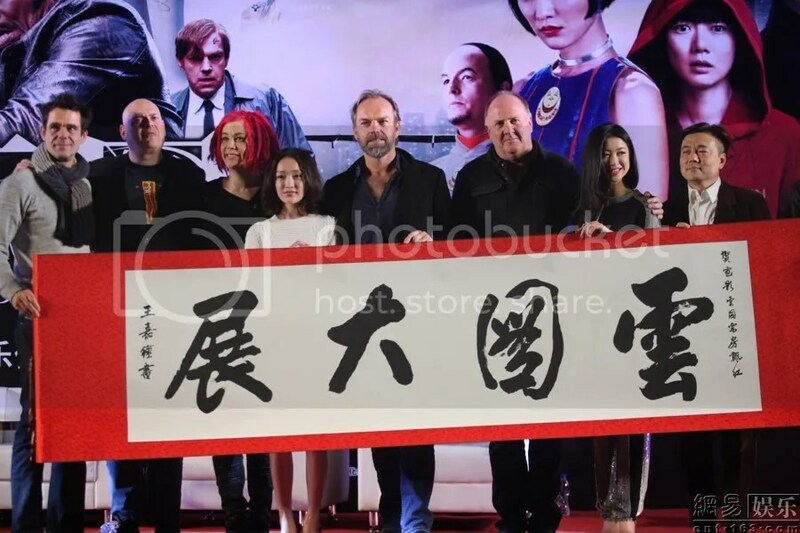 Screen Daily and FilmBiz Asia also covered the press release. The Lowdownunder posted a slightly different press release (probably from Pointblank) featuring a more general overview of the project and its participants. No, we haven’t had any specific news or pics of Hugo from the set… yet. (And most of the pics of him in internet coverage of the film– even Hugo’s profile pic at Pointblank– are about ten years old.) 😉 But this sounds like a project that would be close to his heart, as it hews more closely to his personal philosophy that acting should “illuminate another human being ” than the sort of roles he’s more famous for. The Hobbit: An Unexpected Journey will debut on DVD/BluRay on March 19 (in the US), according to the LA Times’ Hero Complex. The packages will include behind the scenes footage and (if you’re getting the BluRay) a 3D option, but this won’t be the “Expanded Edition”… Warner Bros suggests that won’t be available until “the holidays” at the end of the year. I suspect they’ll release it a few weeks in advance of The Desolation of Smaug’s theatrical bow. Fans who do spring for the early, fewer-frills BluRay release will be treated to a “special sneak peek” at the second film in the Hobbit trilogy on 24 March at noon (PST) featuring Peter Jackson. (More details here.) Also, it should be noted that all of the various Lord of the Rings DVD packages featured different supplemental material (there were at least three different editions) until the BluRay issue belatedly compiled the whole lot in 2011, so I suspect Warner’s will try that lucrative tactic again. Chinese audiences proved much more embracing of Cloud Atlas than US audiences despite the 40 minutes of edits to the film released there… it’s already soared to #1 at their box office and racked up $16 million (95 million yuan) in its first week; by contrast, the film made about $9 million in the US during its first week of release in October. (The film has done much better overseas than it has here.) This is heartening and may explain why the film’s DVD release has been pushed back; I wouldn’t be against a theatrical re-release here to give the ignoramuses who missed it the first time around a second chance. 😉 As Dwain Worrell (via The Washington Times) put it, “Overlooked and underrated, Cloud Atlas is overdue and well deserving of its new foreign found success and praise. The film curves the lenses of reality and wraps them around themes and concepts that are nearly impossible to explain, less etch into a two hour screenplay. Ambitious to say the least Could Atlas artfully and responsibly translates these lofty concepts in a language that speaks to the traditional nation. Far different than anything before released in China, the film has struck a chord with Chinese movie goers and its success in China proves that ‘all boundaries are conventions’.” Additional details can be read at The Hollywood Reporter, which notes that Cloud Atlas is currently outperforming Skyfall in China. Cloud Atlas has been nominated by the Film Music Awards for Film Score of the Year, Best Science Fiction/Fantasy Score and Film Music Composition of the Year award for Tom Tykwer, Reinhold Heil and Johnny Klimek’s masterful score. The Hobbit: An Unexpected Journey was also nominated in the first two of those categories for Howard Shore’s score, but I think Cloud Atlas the more unique and deserving of the two. More details at Film Awards Daily. 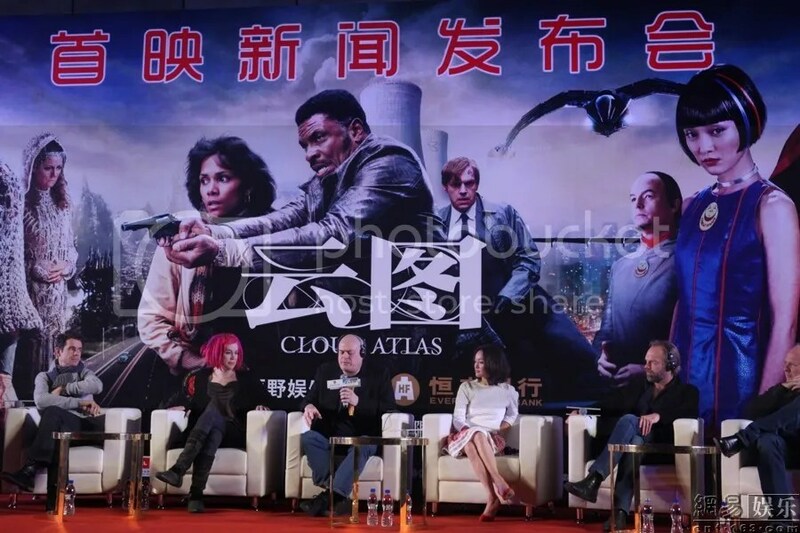 New, interesting reviews of Cloud Atlas continue to turn up on a daily basis as the film is gradually released around the world and gathers more positive word of mouth. The latest: Actuallymag, The Umlaut, Listal.com, The Average Guy, and Memoirs of a Culture Stalker. 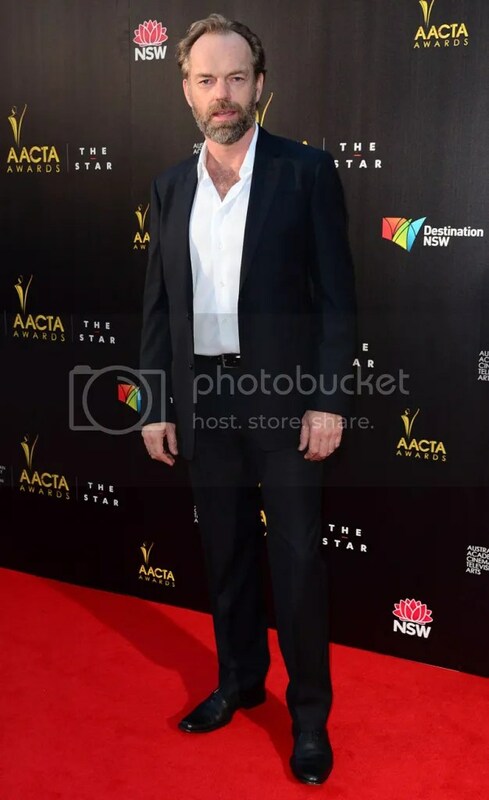 Elisa over at Random Scribblings managed to secure and post some footage of Hugo’s brief appearance at this year’s AACTA Awards, co-presenting the Best Lead Actress award with Rebecca Gibney. (Notable Aussie character actress Deborah Mailman won, for The Sapphires.) I’m not sure why this repeats (silently the second time)… maybe to give us a look at what Hugo might have tripped over that the two of them were joking about. 😉 I’m quite charmed that Hugo’s awards show teleprompter-reading skills remain unpolished after all these years. I hope that never changes. There’s also a red carpet video from the Wellington premiere of the Hobbit featuring Hugo Weaving, Cate Blanchett, Martin Freeman, Peter Jackson and others posted by VivirdeCine to YouTube, but it’s frustratingly overdubbed, and Hugo’s interview is cut off before he finishes speaking! 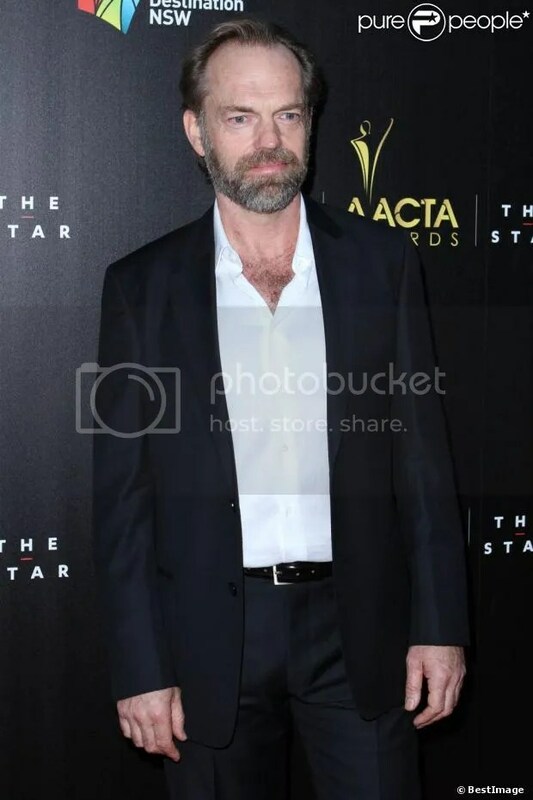 Australian fans (and those with funds to travel) not already in possession of season tickets to STC’s 2013 slate will want to note that tickets to individual plays (including Hugo Weaving and Richard Roxburgh in Waiting for Godot) go on sale tomorrow, though they’ll probably be going fast. Some productions (including Cate Blanchett in The Maids) are already sold out. More details at TheatrePeople.com and (of course) STC. Oh, and I actually did order some of that Old Georgie tea (from Adagio’s “fandom” line of Cloud Atlas teas)… I don’t usually go in for crazy promotional tie-ins, preferring to save my limited funds for the actual film/theater tickets/DVDs etc featuring Hugo’s actual work, and the occasional magazine for the Flickr archive. But I was already a big Lapsang Souching drinker, so I indulged in the impulse purchase. It’s quite addictive, particularly when one is snowed in or shoveling out of a major winter storm. There are also blends inspired by Robert Frobisher (Ben Whishaw), Rufus Sixsmith (James D’Arcy), Timothy Cavendish (Jim Broadbent), Luisa Rey (Halle Berry) and Somni 451 (Bae Doona– don’t worry, it’s 100% soap-free.) 😉 Yes, they include pics of the characters in stickers on the bags/tins, but they’re not great quality (the Old Georgie pic was very dark– was there a copyright issue? ), so you should buy primarily if you enjoy the teas in that (or another) blend. NOTE:There are some new members here, so I’m going to repeat an old instruction not to post material here without first submitting it to me for review. This isn’t a message board; I’m trying to run an orderly news column. I don’t want this to become like Tumblr, where a lot of material gets randomly reposted without proper credit or source info… Also, I often begin writing the next post as soon as new material becomes available, and post it when I have enough information to justify a post. My Twitter feed is the “raw feed” for this column, so if you have new material you think should be included, please submit it via Twitter, the comments here or a personal message. Often when a new project is announced, many different sources run stories, but I try to find and post the original sources or most complete versions of this material. In most communities, no posts are cleared without moderation; Hugonuts is a special case because I inherited it in 2005 after it was “orphaned” by the previous moderator. But I have run the community since then and want to maintain some semblance of order. I want Hugonuts to be a breaking news column and source for new, or newly-available, material. If you have such material, submit it to me, and I’ll be happy to post it, and of course fully credit you. Elisa from RS has an exemption because she runs a wonderful fully-fledged fansite (Random Scribblings) and often has access to exclusive or hard to find material. (There’s also a wonderful Message Board there, for fans who can start threads (or contribute to them) on any subject that interests them.) But I do want the site to stay on-topic and have some semblance of order. I hope this is acceptable. Speaking of Cloud Atlas openings, the UK premiere is slated for 18 February UKFilmPremieres (via Twitter) has announced that the guest list includes Jim Broadbent, Jim Sturgess, James D'Arcy, Ben Whishaw and Hugh Grant… in other words, the British cast members. Hugo will probably be busy working on Healing for director Craig Monahan at the time; he noted that filming begins "in February" during Chinese press interviews for Cloud Atlas, so he might be working on that as I write this, though there's been no official word yet. I like the way that the film's massive cast has "tag teamed" all these international premieres. The film needs this sort of coverage and word of mouth. No, alas, none of Network Ten's footage of Hugo at the ceremony has made its way online. 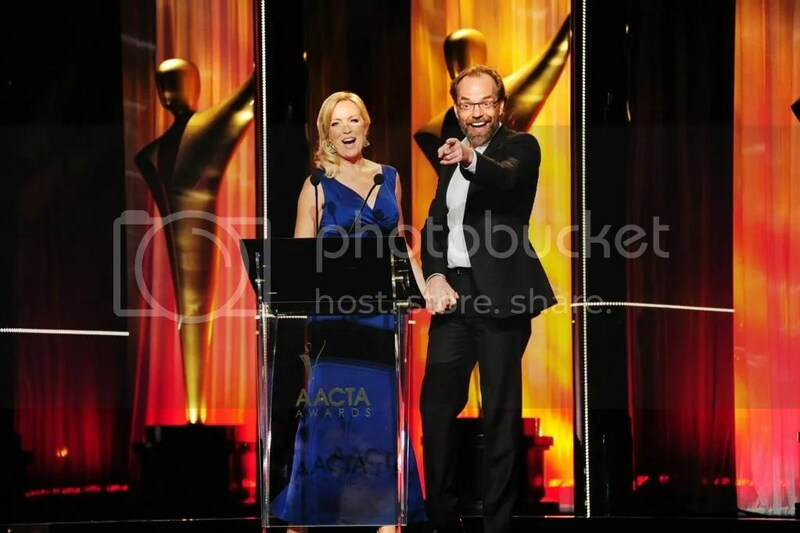 Most of the official AACTAs clips on YouTube are of award winners speaking in the press room AFTER their wins. I hope some actual footage from the ceremony shows up soon. Yvette has promised some video of the red carpet as soon as she has time, but no official journalists have managed to post any. To be fair, Hugo doesn't appear to have given any press interviews that evening, and didn't linger on the red carpet. In Other Hugo News: The Australian features a brief preview (and great photo) of STC's production of Waitig For Godot, which will star Hugo Weaving and Richard Roxburgh next November in Sydney. And this Terence Stamp interview from The Daily Mail features an amusing anecdote about the filming of Priscilla, Queen of the Desert.